It can be challenging for rental trucks to meet the electronic logging device (ELD) mandate. One solution is to provide drivers with easier Hours of Service (HoS) functionality. 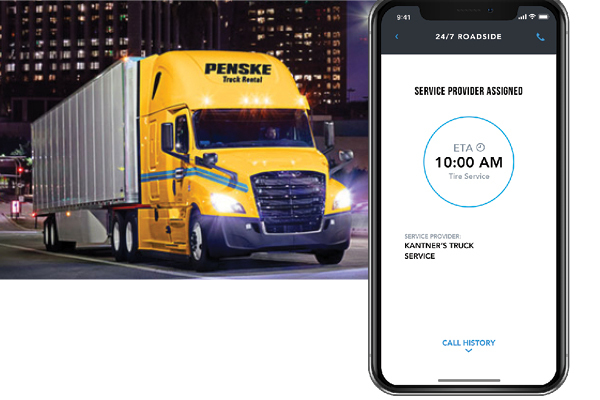 To that end, Penske Truck Leasing has introduced Penske Driver, a fully integrated and ELD-compliant custom app for its commercial truck rental, contract maintenance, and truck leasing customers. The new app is a companion to the Penske Fleet app. To learn more about this new offering, Inbound Logistics spoke with Brandie Searle, director of interactive solutions and innovations, Penske Truck Leasing. IL: What is the Penske Driver app and who can use it? Penske Driver was developed for our customers' drivers. Any Penske truck leasing or commercial truck rental customer can register for access to an account and provide the app to their drivers. IL: Is there a cost? Any special equipment needed? The app is available at no cost and can be downloaded in the Apple App Store and on Google Play. There is no additional equipment required, but access to the HoS feature requires usage with a Penske vehicle equipped with an ELD-compliant system. IL: Is the app hard to use? Penske Driver is simple to use and should not require any training. Penske does have a dedicated customer success team available if customers have any questions. IL: Can the app help with driver retention and compliance? The Penske Driver app can certainly help with compliance. With Penske Driver, drivers can stay compliant with federally mandated HoS rules while operating a Penske rental unit. Penske Driver provides the ability for drivers to submit their fuel receipts digitally for company fuel tax compliance. Penske Driver also provides real-time updates of the status of any roadside event, so drivers always know when they will be back up and running.